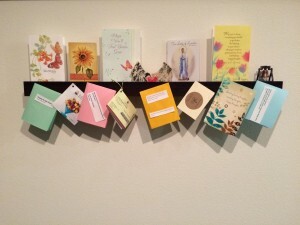 Picture of Shelf With Inspirational cards, notes, and E-mail msgs. 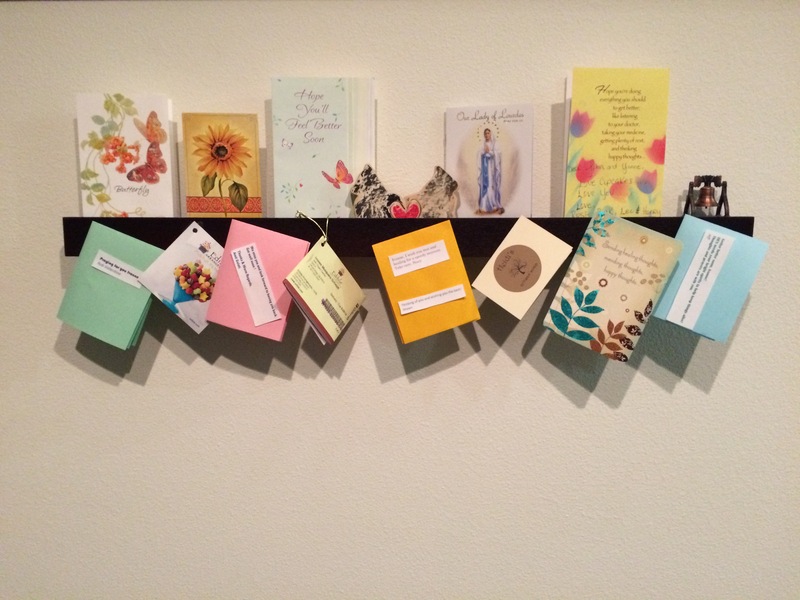 Since my cancer diagnosis, I’m saving all of the cards, E-mails, and notes of support that Family, Friends, colleagues and supporters send me. (I’ve even printed out some E-mails on colorful paper!) Each is a reminder of the incredible love, friendship, and support that I have to draw upon as I journey through my battle with cancer. Every time I walk by My Inspiration Shelf, I’m re-energized, filled with a new sense of strength and hope, and thankful for the people in my life that believe in me. I’m humbled and inspired by everyone’s support!